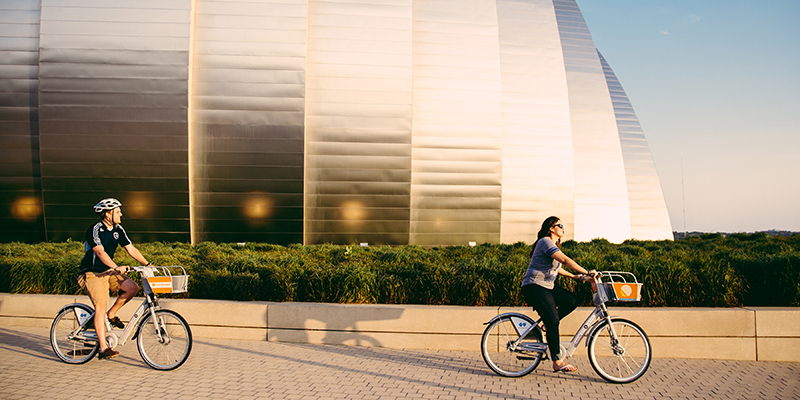 Among the most popular, budget-friendly modes of transportation in town is Kansas City B-cycle, a 24/7 public bike sharing system perfect for short, all day or multi-day jaunts around the city. Just hop on a bike at any of the 41 stations located in Waldo, Downtown KC, the 18th & Vine Jazz District or Brookside, just to name a few, and when you're through, simply leave it at any other station for the next cycle enthusiast! Segway, Bike and Stroll offers a taste of the city via a variety of themed Segway, bicycle and foot tours. “Art & Glide” explores the fountains and outdoor art of the Country Club Plaza, while “Museums, Parks & History” highlights the art and architecture of The Nelson-Atkins Museum of Art, Westport and other cultural spots. Want to eat and ride? Try “BBQ, Brews & Bites,” a half-day bicycle adventure meandering through some of the city's hippest neighborhoods, stopping along the way to sample great food and beverages. Located along Brush Creek, Ambiance on the Water is a fun way to celebrate a birthday, anniversary, graduation, or other special event in a gondola. Accommodating up to six people, the gondolas offer a relaxing picturesque float along the creek, with special extras like a sparkling beverage, roses, a box of assorted chocolates, balloons or cake, depending on the occasion. 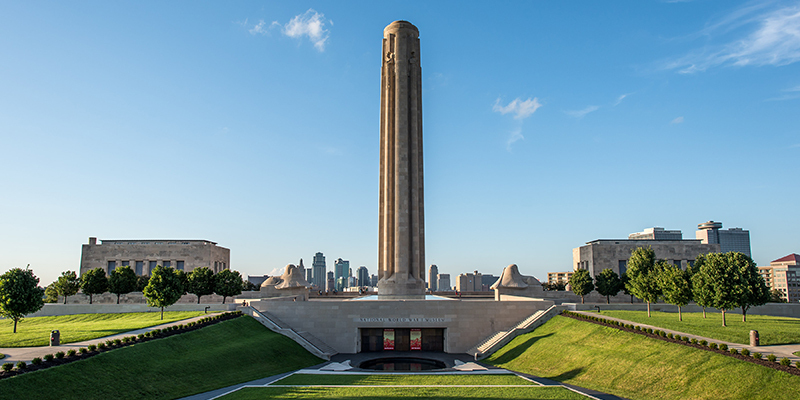 Sit back, take in the sites, and let someone else drive on Kansas City Fun Tours. Enjoy a fully narrated, 75-minute rolling history tour in an authentic, air conditioned trolley while learning about city favorites including historic Union Station, the Arabia Steamboat Museum, National WWI Museum and Memorial, The City Market and the Money Museum at Federal Reserve Bank of Kansas City, among others. Kansas City Carriages is an exciting return to the horse and buggy era, featuring almost year-round, leisurely, evening rides around the Country Club Plaza. Choose from a standard carriage, Cinderella coach for up to six adults, vintage carriage carrying two to 12 people, or a sleigh for large groups up to 22. For a date night experience, the intimate Sweetheart and Princess Packages for two include a dozen red roses. Photo courtesy of jrussell.196 via Flickr. Another modern update on a throwback to the past is the KC Streetcar, an all-electric, fixed rail streetcar line extending two miles from the River Market to Union Station. 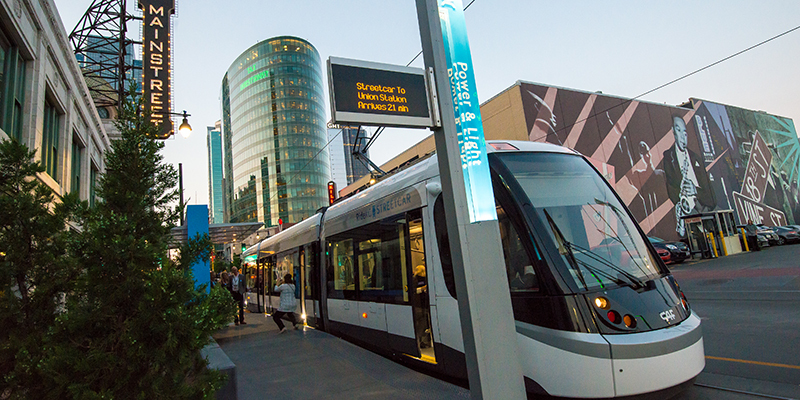 This easy, comfortable and free system encompasses 16 stops, allowing riders to hop-on and hop-off to enjoy an array of eclectic dining, shopping, music, cultural and other offerings throughout downtown. 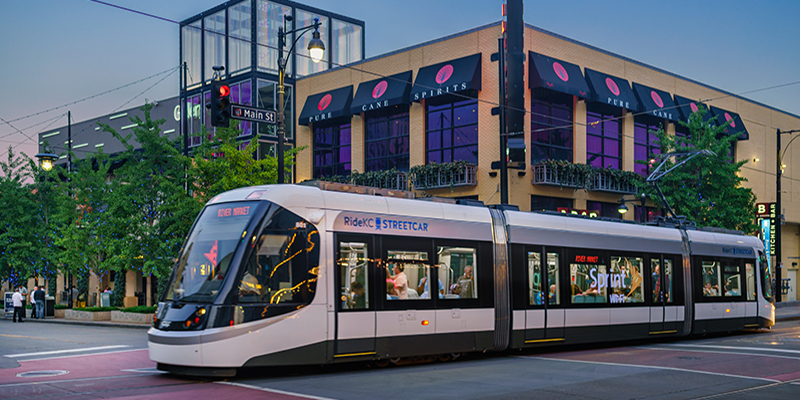 Running seven days a week, the KC Streetcar accommodates riders on foot, bicycle, wheelchair and with strollers. The 13 digital kiosks along the route provide information about city highlights like the Crossroads Art District, Power & Light District, River Market and the Kauffman Center for the Performing Arts. So ditch the car and explore the city—one bike, Segway, gondola, trolley, horse and buggy or streetcar at a time!